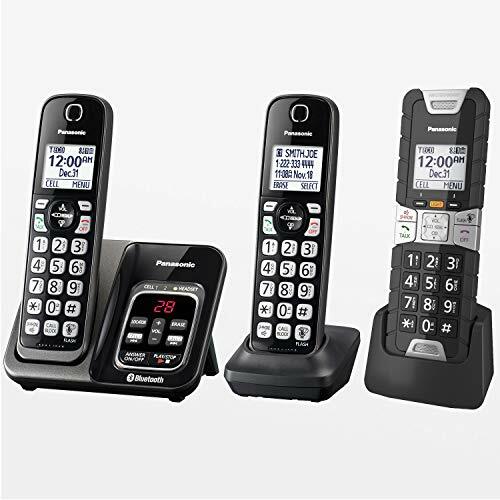 VTech DS6671-3 DECT 6.0 Expandable Cordless Phone with Bluetooth Connect to Cell and Answering System, Silver/Black with 2 Handsets and 1 Cordless HeadsetCategory: Bluetooth 2 HandsetsThe VTech DS6671-3 2-Handset Connect to Cell Answering System with Cordless Headset enables you to integrate your land line phone and cellular phone into one system, simplifying communication in your home. The VTech headset system allows you to store up to 200 cellular directories and manage them with a free app. The VTech Connect to Cell Headset can help eliminate cell phone dead spots, giving you optimal reception throughout your home. Multiple users can conference call with two headsets and a caller on an outside line, enabling productive conversations. 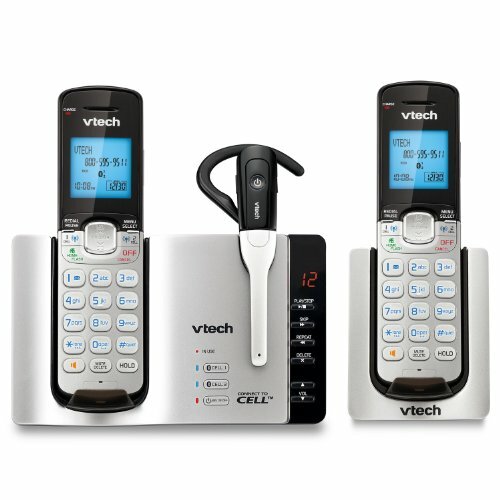 An intercom function allows you to speak with other people in the house via the VTech DS6671-3 2-Handset Connect to Cell Answering System with Cordless Headset. This system can support up to five headsets. 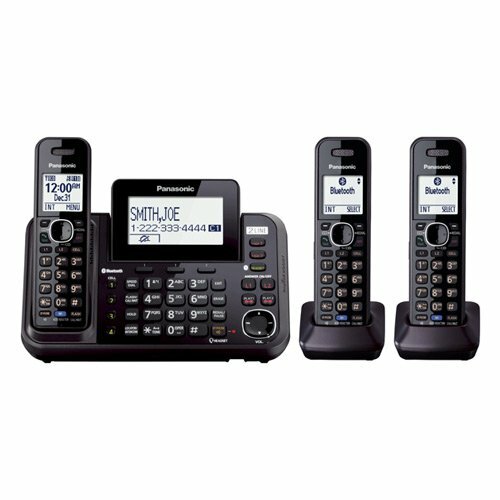 Panasonic Kx-tg9542b Dect 6.0 Link2cell 2-line 2-handset Bluetooth Phone SystemCategory: Bluetooth 2 HandsetsThe Panasonic KX-TG9542B DECT 6.0 Plus 2-Line Link2Cell Bluetooth Enabled Answering System with base keypad and two cordless handsets allows you to link up to four cell phones. 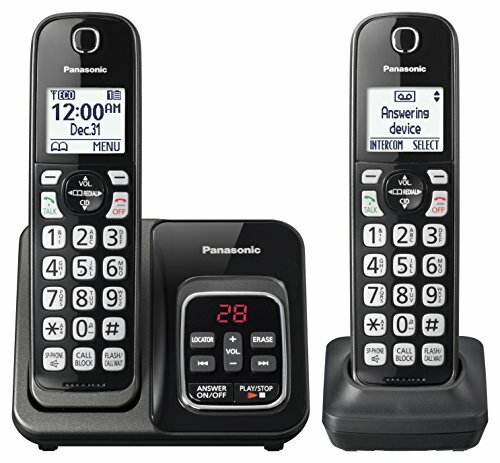 With 2-line operation, this expandable unit supports three simultaneous conversations, two on the landlines and one on the cell. 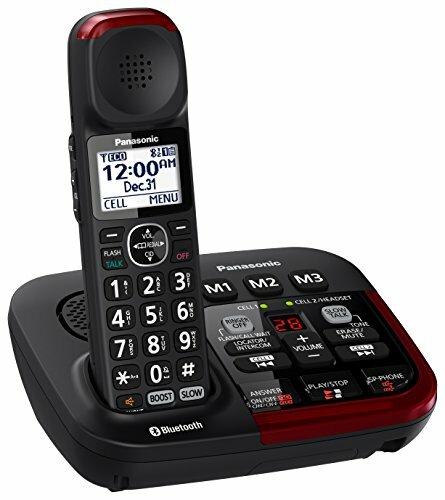 The Text Message Alert feature notifies you of a received text message on your cell phone through an alert on your cordless handset when your cell phone is synced to the base unit. 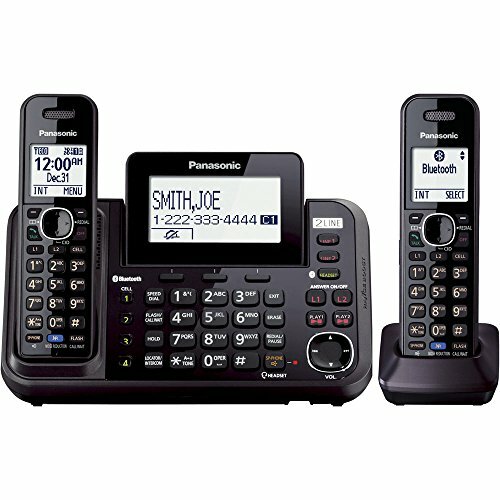 Enjoy two answering systems so you can separate your work life from your home life. Now you can be alerted to recorded messages whether you're at home or on the road. When a caller records a message, the base unit will beep, alerting those in the house. Not at home? The phone will automatically send a message to a registered cell or office phone along with playback options. 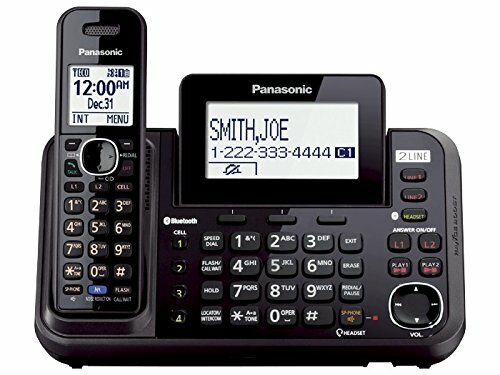 Panasonic Link2Cell Cordless Phone with Voice Assist and Answering Machine, 2 HandsetsCategory: Bluetooth 2 HandsetsThis metallic black, two-handset system syncs to two smartphones, connects to Siri, Google Now and S Voice and blocks 150 unwanted callers. Expandable to six handsets. 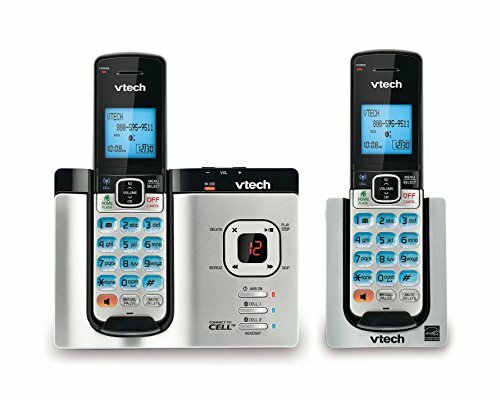 VTech Ds6621-2 Connect to Cell Phone with Answering System and 2 HandsetsCategory: Bluetooth 2 HandsetsTake your calls no matter where you are! The VTech Connect to Cell Phone comes with a digital answering system and two convenient handsets so you can go anywhere and do everything without missing an important call. 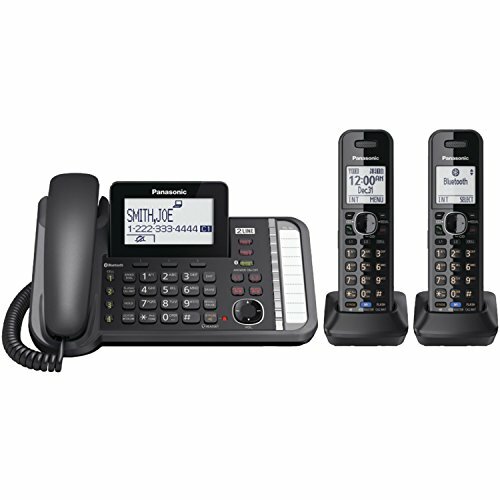 This system is capable of making both landline and cellular calls and can expand up to five handsets for maximum efficiency. With message retrieval from the handset and conferencing between lines, this is the last word in efficiency and ease. 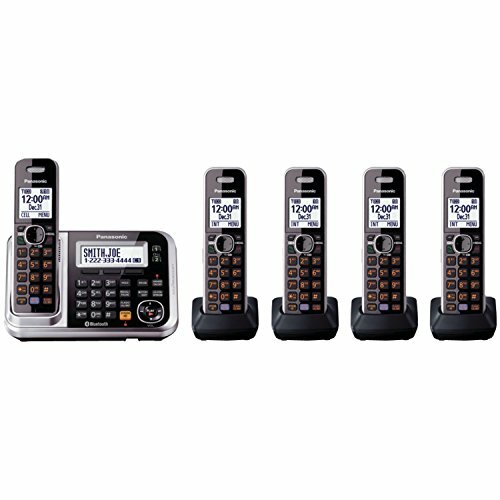 AT&T EL51203 DECT 6.0 Phone with Caller ID/Call Waiting, 2 Cordless Handsets, SilverCategory: Bluetooth 2 HandsetsThis system features an easy-to-read LCD screen on the cordless handsets. It also features high-contrast black text on a white background, which provides for an easy-to-read screen to view incoming caller ID or review call history. The phonebook directory allows you to program up to 50 names and associated phone numbers in the handset so you can easily access the entries by scrolling alphabetically or entering the first few letters of the name. Can New Samsung Galaxy Smartwatch Connect 2 Bluetooth Devices? 11 16 18!